What is it with blood relations? I was never too fond of children before Nishu came into my life. A few minutes with a child were ok, but anything beyond that got on my nerves. 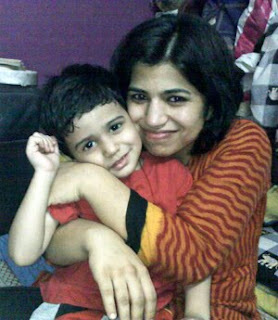 But I absolutely adore Nishu and my relationships with other children have also improved. Before Nishu, I wasn't able to talk to children much. Now some of them are actually fond of me. When Nishu was about to be born, I used to fret that I wouldn't get on well with him. But now, I laugh at those worries as Nishu and me are best of friends. My mom used to tell me that it is always different with children of your own family. I was always incredulous. But I think there is some truth to it.